Here at Air Duct Cleaning Portland, we are constantly trying to increase awareness about the harmful effects of indoor air pollution. In our ongoing effort to educate the public about this pressing issue, we wanted to share this case study with you. A recent study by a group of researchers at Johns Hopkins University has found a direct association between increased levels of indoor particulate matter in the air and the severity of asthma symptoms among children. The study, which followed a group of asthmatic children in the Baltimore, Maryland area is one of the first to examine the effects of indoor particulate matter pollution. The results were published in the The Journal of Environmental Health Perspectives. 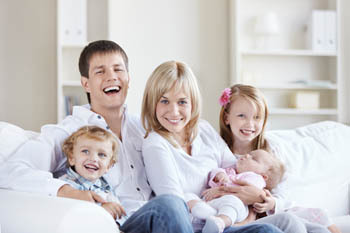 At Air Duct Cleaning Portland by J&M Services, we are Portland’s Indoor Air Quality Experts. We specialize in air duct cleaning all around the Portland metro area. We serve both residential and commercial clients. For any indoor air quality concern please contact us.